Payment order is the settlement document instructions to the Bank by the account holder transferring the private funds to the beneficiary's account. 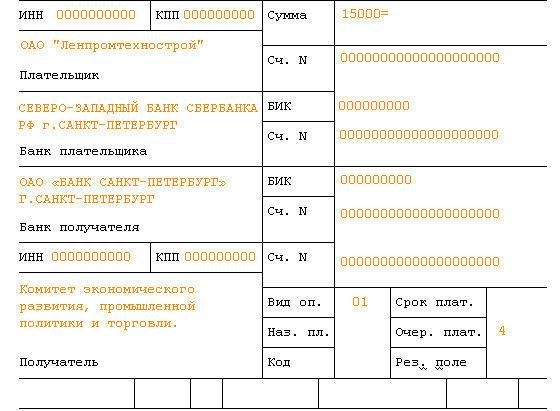 The Central Bank developed a unified form 0401060 payment order. 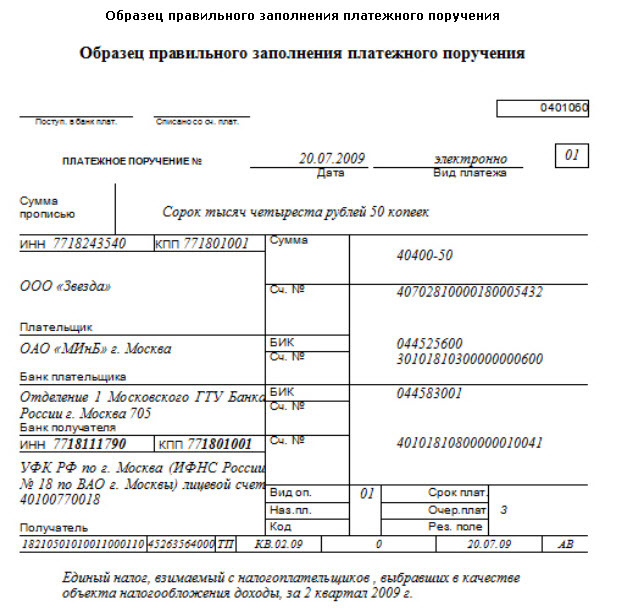 Incorrect payment order, in accordance with article 864 of the Civil code of the Russian Federation, is not accepted by the Bank for service. The filling of the active fields is subject to strict rules, you can make a payment order with a precise indication of all codes and details. Fill bills with indication of the document number and the date of its publication. Type of payment enter "electronic". In the next box write the amount to be transferred to the recipient. Fill in the payment details of your organization and the company recipient. This is where the INN, KPP, company name, account. And full Bank details of the payer, stating the name, address, BIC, correspondent account. Similarly fill in the details of the payee. Here, specify the type of payment and the order. In the case of taxes, fill fields KBK code (budget classification) and OKATO. Here specify the basis of payment and the tax period for which payment will be made. In conclusion, write the purpose of payment and print the document. Transmit a payment instruction for signing managers who have the right to sign Bank documents. The payment order will do for payment within 10 calendar days from the date of filling.